So after a long gap I am back. Had made this earlier but could not find enough time to write it. So here goes the recipe which I tried to master as this is one of my husband’s favourite and even mine. Medu vada dipped in hot sambhar along with chutney and my mouth has already started watering. A south Indian delicacy but now a favorite of everyone. I have also taken input’s from Padhuskitchen.com, from where I have added the rice and chana dal and learnt that it just needs to be soaked for a few hours and not overnight. Remove all the water. Now grind the urad dal along with Jeera and Green Chillies and try to make a smooth paste. Do not water. If required just add 1-2 teaspoon of water at a time. But it is better if it is not added. Keep the oil to heat in a kadai or a wok. Meanwhile, in a bowl, add the Urad dal paste , add salt and mix. Give it a nice mix for about 3-4 minutes so that the urad dal incorporates air. Test the batter by dipping a small ball in water. The ball should come up and float. Keep a bowl full of water by your side to dip your fingers. Once the oil is heated, (Should not be too hot or else the vada will not be cooked). 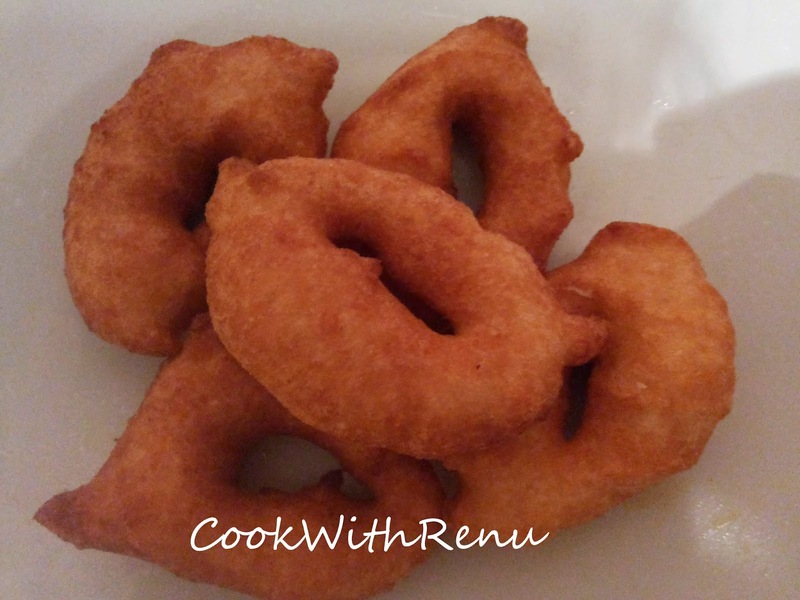 For every vada, dip your fingers in water, gently shirk the excess water, take a small ball size batter and make a hole in the center with your thumb and dip it in hot oil. Again immerse hand in water and repeat the process. Start with small size as making hole in the center and dipping in oil takes practice. Let the vada’s first cook for 1-2 minutes. Do not touch it with a spoon or the batter sticks to the spoon. Always cook on medium flame. Do not add the vadas in very hot oil as this might just turn the outside crust brown without cooking from inside. Yummy Vada’s are ready. Serve it with sambhar and chutney.